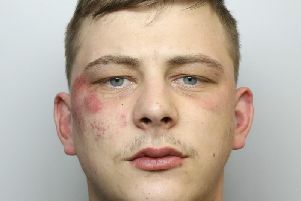 A man has been arrested by detectives investigating an assault outside a nightclub which left a man critically injured. The 23-year-old handed himself in at Walsall Police Station, in the West Midlands, last night, following media appeals for information about the incident near Club Mission in Leeds city centre in the early hours of Sunday. The victim, also aged 23, was assaulted on Heaton’s Court shortly after 3.30am. Police said the man, from Wakefield, was believed to have been involved in an altercation with two men who had been denied entry to the venue. He was attacked and knocked unconscious and was taken to Leeds General Infirmary with serious head injuries. Police said he is in a stable but “very serious” condition. The arrested man has been transported to Leeds where he is being questioned on suspicion of causing grievous bodily harm. Officers are still looking for a second man who was seen on CCTV in the area at the time of the attack. Detective Chief Inspector Steve Snow, of West Yorkshire Police’s homicide and major enquiry team (HMET), said: “The arrest has come about as a direct result of the public appeal and we are still seeking information to help us identify the second man shown in the CCTV. “As we detailed yesterday, he has a distinctive ‘undercut’ hairstyle which is shaved all the way around the level of the ears and then pointed at the front. Anyone with any information should contact HMET via 101 or Crimestoppers, anonymously, on 0800 555 111.